Lunch is generally a lighter, less formal meal which makes it perfect for mid-week meetings. We catered a luncheon this week which consisted of chicken baguettes, salmon quiche and a cheese platter, accompanied by our own River Schist Rosé and Pinot Gris. Simple and delicious. 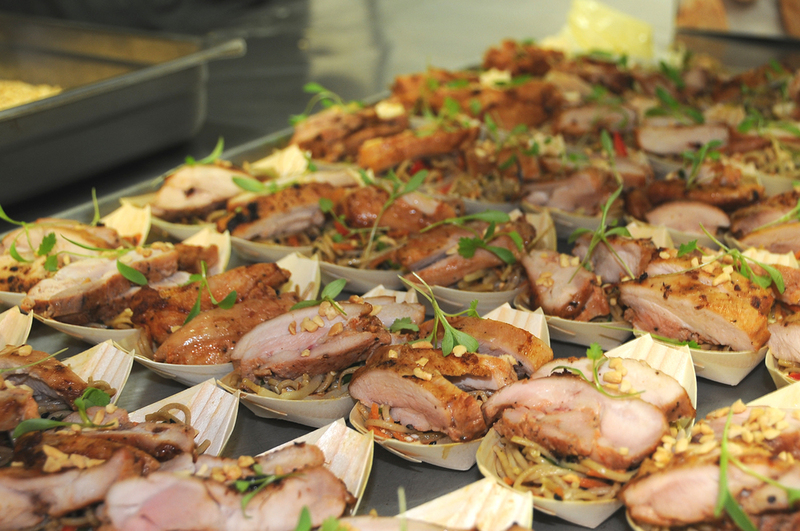 And by having the event professionally catered, everyone was able to relax and enjoy the occasion. 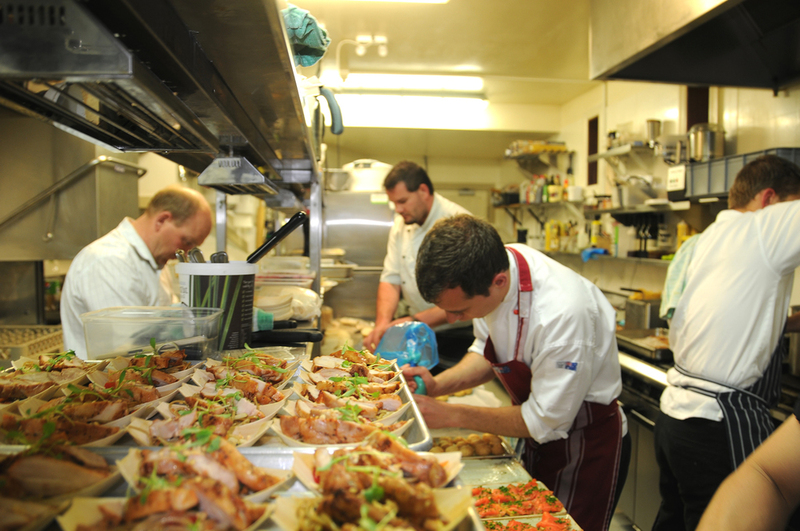 Thought we'd share some behind the scenes prep for a corporate function we catered recently. 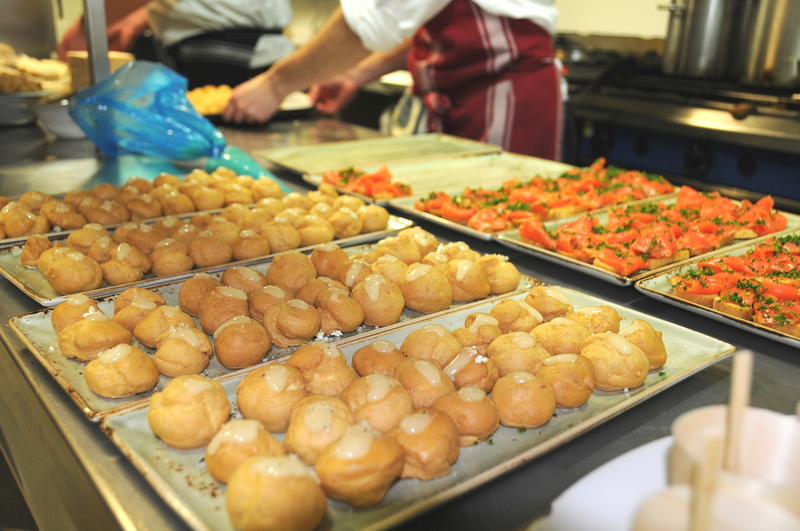 Seared tuna, profiterole with goat cheese, honey and thyme, smoked salmon bruschetta and Vietnamese pork noodle boats...guaranteed to keep the guests smiling. Bruschetta is a delicious antipasto which is easy to make and perfect to eat with pre-dinner drinks. Bruschetta’s origins are thought to be medieval: the name comes from the Roman bruscare which means 'roasted over coals'. Tomato and basil are a classic bruschetta topping, but you could use anchovies, mozzarella, prosciutto ... any Italian inspired ingredients you have on hand with fresh herbs will be delicious. 1. Slice or tear the basil. 2. Chop the tomatoes into small pieces, then, in a bowl, combine with the basil, seasoning and add a good slug of olive oil. Toss gently and set aside. *You can remove skins first if preferred: blanching tomatoes in boiling water for about 1 minute makes the skins easy to remove. 3. Slice the baguette into 1.5cm slices. 4. Place the baguette slices on a hot griddle or the barbecue and heat the slices for a couple of minutes on each side until you can see light brown lines across the bread. Alternatively, lay the slices on an oven try and bake at 230°C for 5-6 minutes. 5. Slice the garlic cloves in half, rub onto each piece of warm bread, then drizzle each slice with olive oil. 6. Put a spoonful of tomato and basil mixture on top of each baguette slice. 7. Drizzle with Balsamic Glaze and serve immediately.